The UK’s most popular float, available in standard and wide body format. The 506 and 511 are both two horse straight load models. 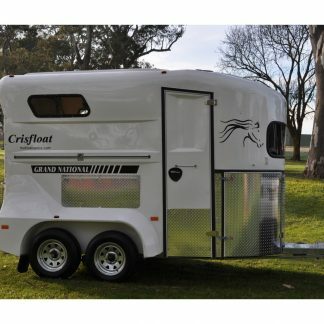 The 506 can accommodate two horses up to 16.2hh, the 511 is slightly longer, wider and will carry two 17.2hh horses. Aluminium floors fitted as standard and is covered with a 12mm thick rubber matting, providing a anti-slip surface and excellent vibration absorption. 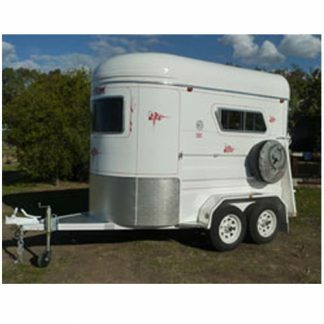 The chassis is a welded steel, hot dipped and galvanized construction for a long and trouble-free life for all Ifor Williams horse floats. 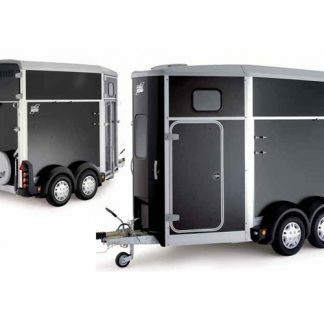 Operating with 4 wheel mechanical brakes, the Ifor Williams float eliminates the need for electric brake controllers whilst still enabling you to carry two large horses safely. 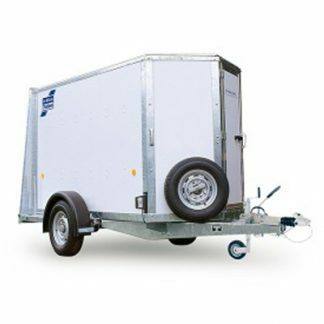 The HB range with ply and aluminium composite side panels offers a durable, light weight and attractive finish. 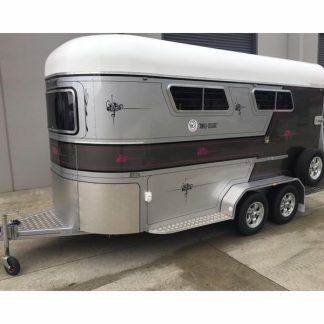 The new generation HBX and HBE floats have a robust body built with an aluminium frame of six vertical box sections and horizontal extrusions running the full length of the trailer. The HBX and HBE rear ramp offers dual functionality. 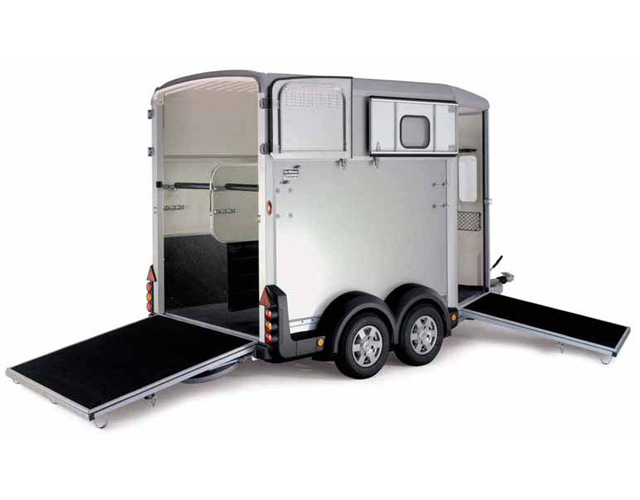 It operates as a normal ramp offering a secure, stable and low angled approach entry to the horsebox. 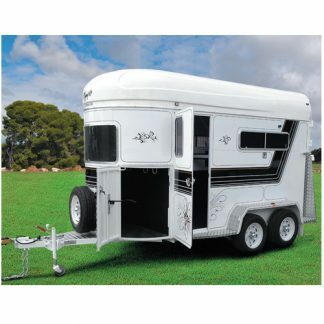 It can also be opened as a side-hinged door, making cleaning out the horsebox much more convenient. It also permits convenient forklift access to the rear of the horsebox. Note: Prices, weights and dimensions may change without notice; weights and dimensions are approximate.